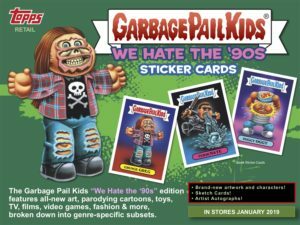 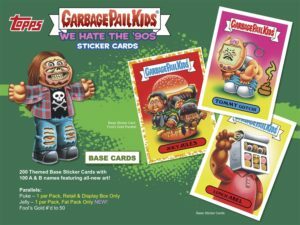 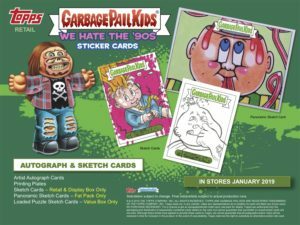 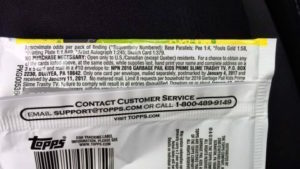 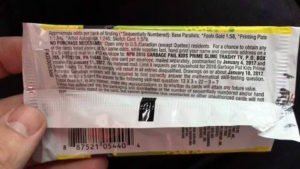 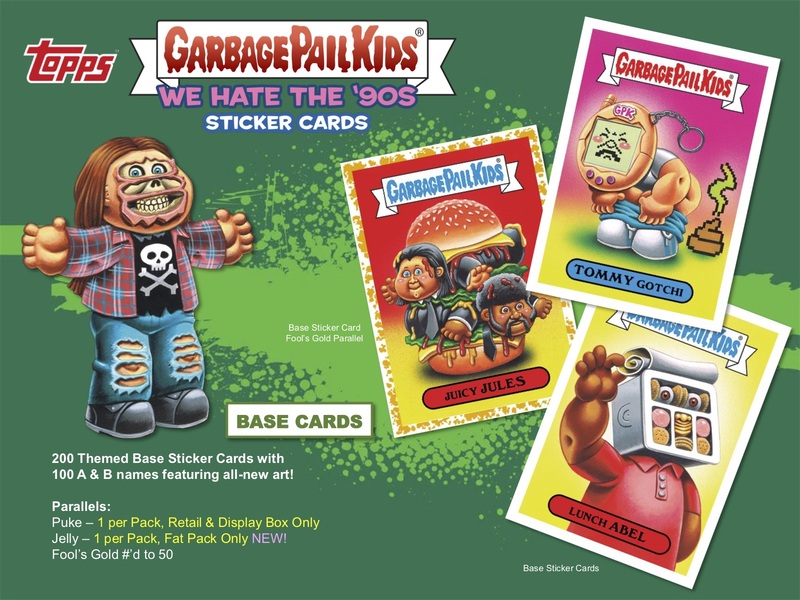 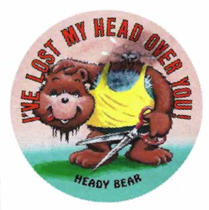 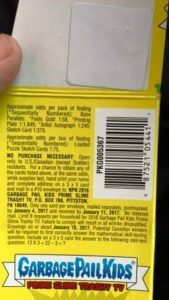 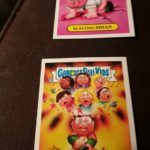 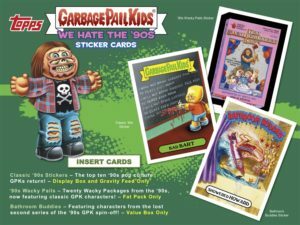 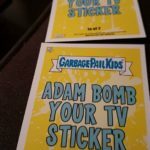 Excell Marketing, the company that distributes and stocks a number of retail outlets, including Target, began offering a new Garbage Pail Kids Re-Pack product, called Trash Box. 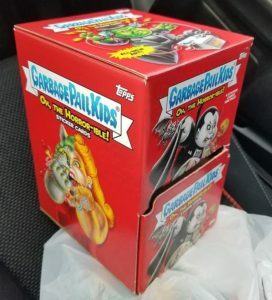 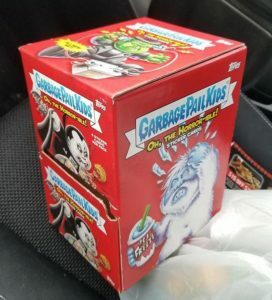 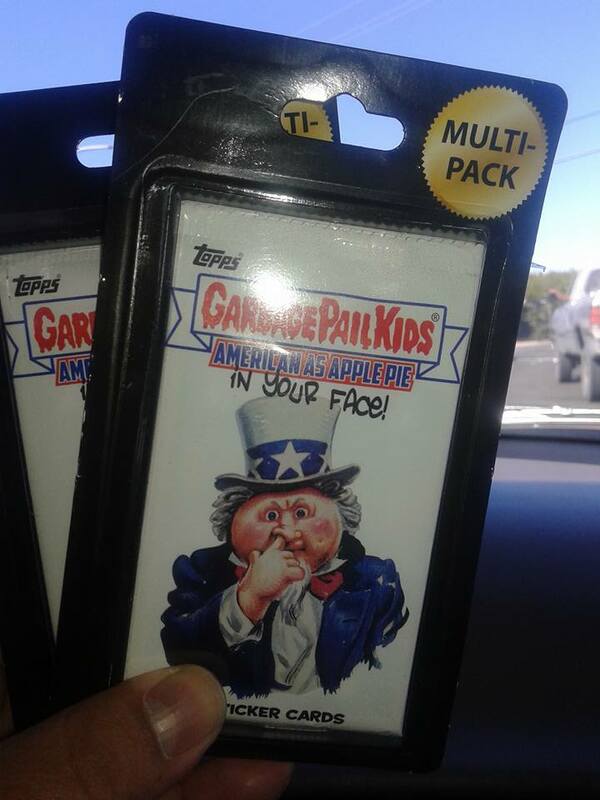 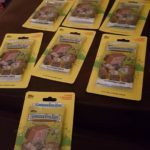 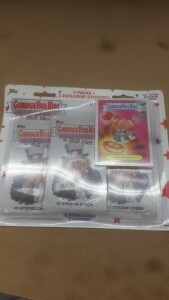 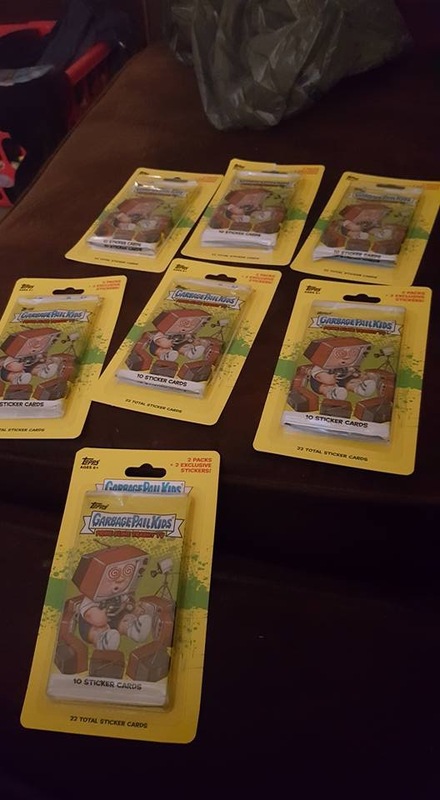 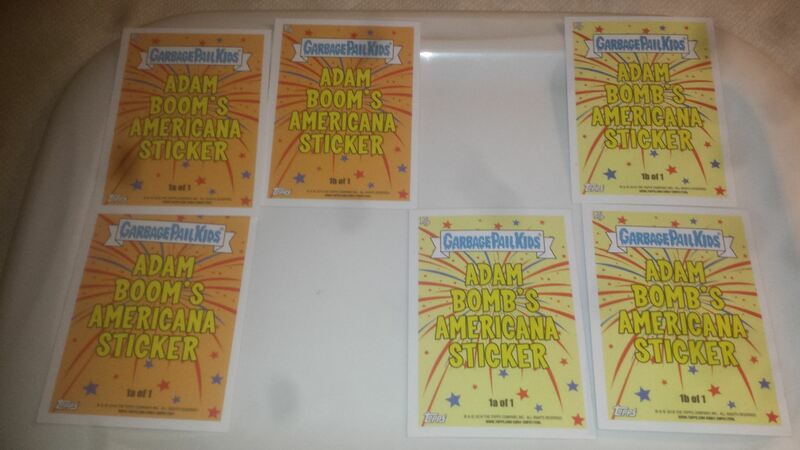 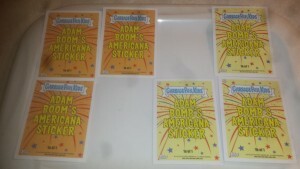 GPK Collector Brent Fisher was first to report finding these, but they have since been located around the country in Target stores, thanks to Brent for the picture! 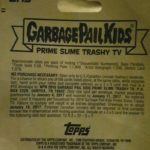 Excell will take leftover stock from previous releases and bundle them into a discounted package. 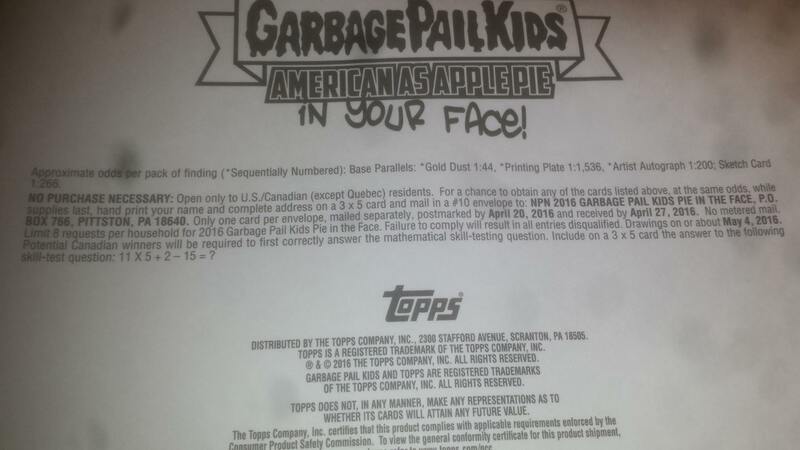 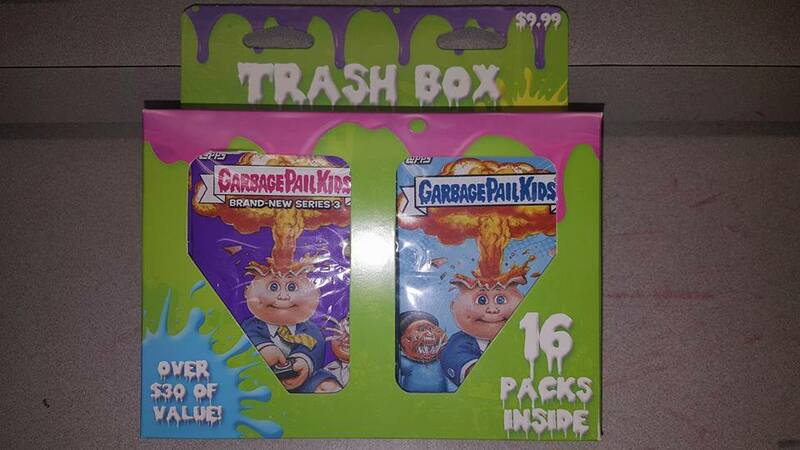 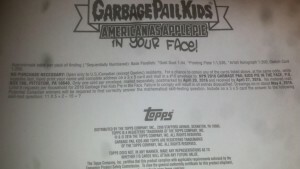 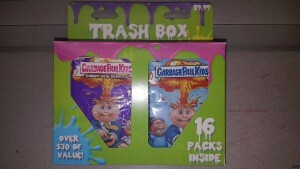 The Trash Box contains 16 packs of Garbage Pail Kids for the suggested retail price of $9.99. 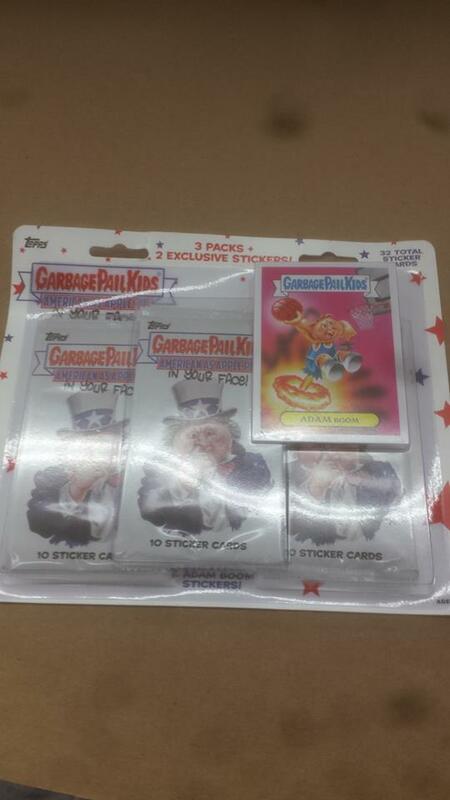 Packs from BNS 3, both 2014 series, 2015 series 1, and both Chrome series have been found in the boxes. 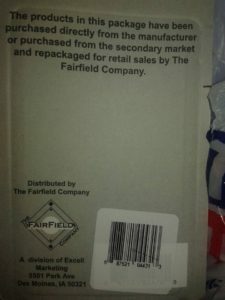 The packs are random and you might not get all the brands mentioned in one box. 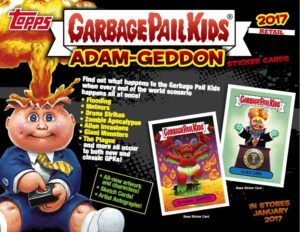 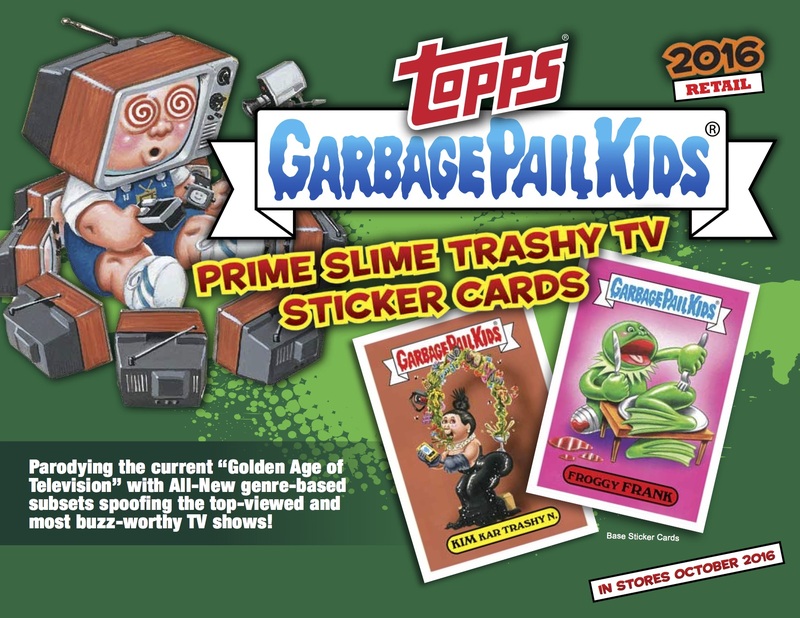 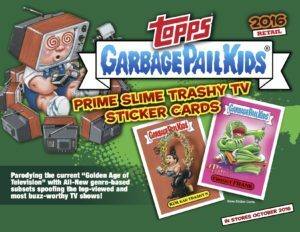 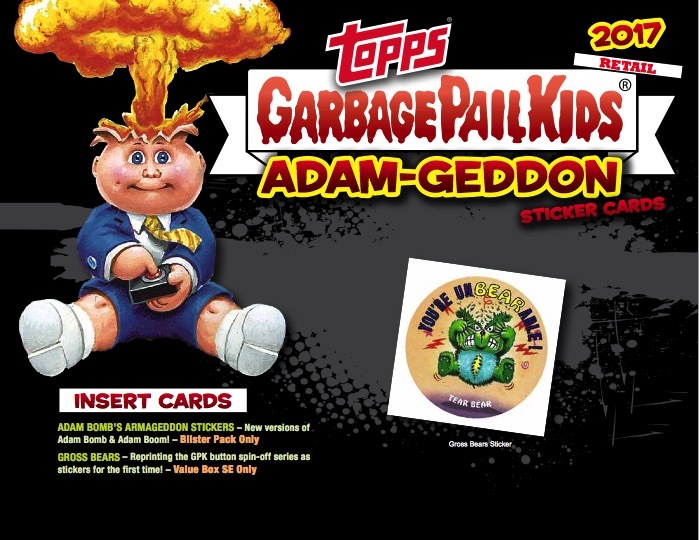 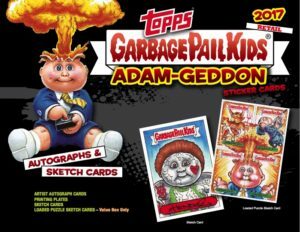 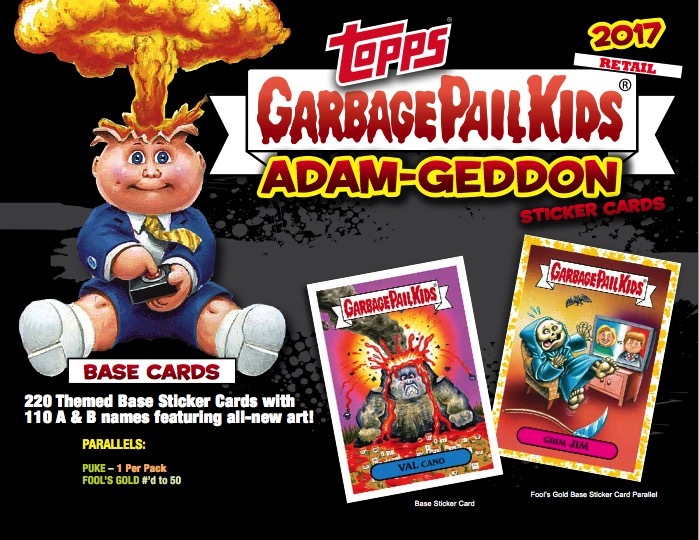 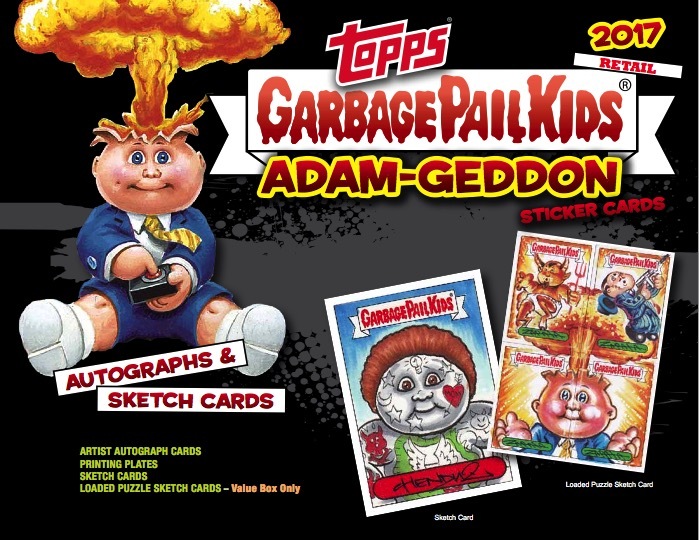 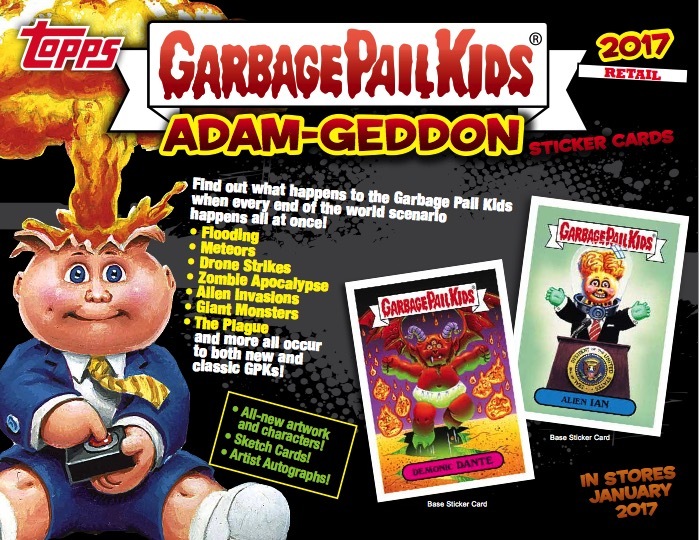 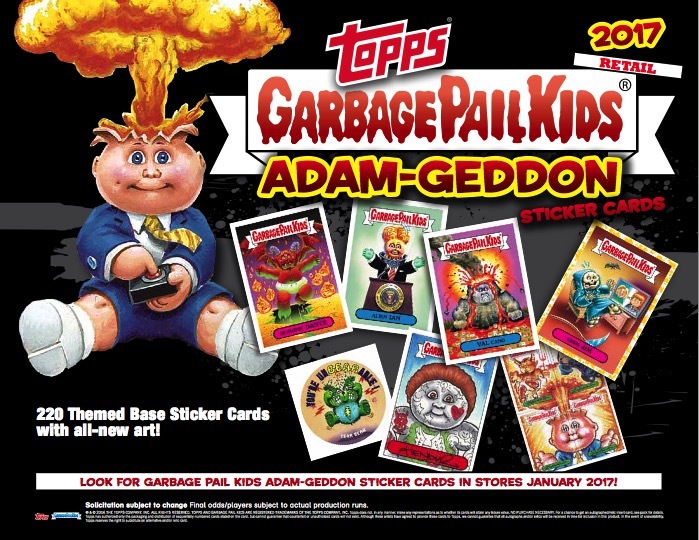 The company has been offering sports card, Pokemon, and Wacky Packages re-packs for a while now, but this is their first GPK product.